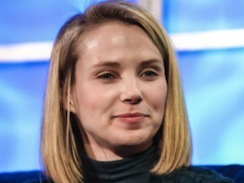 Yahoo's Marissa Mayer: More sizzle than substance? (MoneyWatch) COMMENTARY The appointment of Marissa Mayer as Yahoo CEO has been widely heralded as a coup for the struggling Internet portal. After all, Mayer was one of Google's first engineers, the long-time head of its vaunted search team, and one of the most visible faces of the company. For those who long for the good old days when that contagious Yahoo yodel dominated the Internet, but have instead been made to suffer one unfortunate CEO choice and strategic blunder after another, it appears that your long string of bad fortune has finally come to an end. Then again, appearances can be deceiving. Back in June, a couple of high-profile articles about Mayer's workaholism caught my attention. According to Mayer, she typically works 90-hour weeks packed with 60 meetings. And in Google's early years, she said she worked 130-hour weeks by being "strategic about when you shower and sleeping under your desk." At the time, something didn't seem quite right to me. So I did a little digging and was struck by how much publicity she got. More importantly, how much of it was about her -- her fashion sense, her lifestyle, how she avoids burnout, how she was the first female engineer at Google but just sees herself as one of the geeks -- and not about her company, Google. There certainly seemed to be a preponderance of "me" talk in her interviews. Okay, so what. The high-tech industry has certainly seen more than its fair share of big egos and narcissistic tendencies in its entrepreneurs. It's pretty heady stuff to be young and in the limelight, that's for sure. Come to think of it, some never grow out of it. No big deal, right? Well, here's the thing. Now Mayer's a big-time CEO of a Fortune 500 company with a tricky turnaround on her hands and a boatload of employees, shareholders, and customers watching her every move. That is a big deal. So the big question on my mind is this: how much of Mayer's rock star reputation is substance and how much of it is sizzle? Soon after her appointment, Business Insider wrote a piece about Marissa Mayer's two contrasting reputations. The first is of someone who "played a crucial role in helping Google develop its most valuable business -- search -- and then went on to guide the development of several other popular products including Gmail, Google Maps, and Google News." And she has some pretty high-powered fans in high-tech investors Marc Andreesen and Fred Wilson. The second perspective, which BI says is "more common amongst long-time Googlers," is that "Mayer is a publicity-craving, lucky early Googler, whose public persona outstripped her actual authority and power at the company, where she was once a rising star -- thanks to a bullying managerial style -- but had become marginalized over the past couple of years." To substantiate that, the article cited a former Google executive who described Mayer as someone who "will work harder than anyone" and "is smarter than 99 percent of the people," but "doesn't understand managing any other way than intimidation or humiliation." According to the source, Mayer was "a nightmare" to work with, made other VPs sit outside her office and wait to meet with her in five minute increments, and even had her own publicist, which I guess accounts for all the publicity. And while she reportedly got some executive coaching from former Intuit chairman Bill Campbell, it didn't end well, although nobody seems to know exactly what happened. Back in 2007, there was a big controversy over who really invented Google's second largest business, AdSense. In a USA Today feature story, Susan Wojcicki -- Google's employee number 18 and vice president of product management -- explained how she came up with the idea of extending Google AdWords beyond search and into all sorts of content on the web. Soon thereafter, Gawker's Owen Thomas penned "Susan Wojcicki's big lie," where he said AdSense was a product of a company called Applied Semantics, and that it preceded Google's version. Well, that sparked a fight between Gawker and Google -- which defended Wojcicki's story on CNBC. The classic "he said, she said" debate was pretty widely reported but eventually, everyone simmered down and got back to business. Unfortunately, the controversy didn't end there. Two months later, Marissa Mayer gave an interview with her own version of the birth of AdSense. According to Mayer, she and Gmail inventor Paul Buchheit debated whether to put contextual ads in Gmail -- an internal Google email program, at the time. One night Paul wrote some code that incorporated ads in Gmail. Since Mayer and Google founders Sergey Brin and Larry Page thought the ads were effective, the program stuck and AdSense was born. But Mayer's story made no mention of Wojcicki, something Gawker took note of in resurrecting the debate. Well, after reading everyone's account and piecing the whole thing together, it seems that, much like the whole "who invented the internet?" controversy, everyone had a piece of AdSense. Wojcicki may very well have had the idea first at Google. Buchheit almost certainly implemented it first in Gmail. And Applied Semantics did have a product named AdSense, a name that Google adopted when it bought the company in 2003. What I find particularly interesting about all this is the way in which Mayer, a Google executive, jumped into the middle of a very public, soap opera-like controversy and, instead of clearing things up, managed to both muddy the waters and add fuel to a fire that had finally begun to die down. What exactly was Mayer's motivation for doing that is anyone's guess, but I don't think that sort of controversy benefited Google one bit. And yet, Mayer saw fit to resurrect her "Birth of AdSense" story at Bloomberg Businessweek's Captain of Industry event in March of this year. As an early Googler, Mayer is worth an estimated $300 million. Now, most of us would have a hard time adapting to a lifestyle of the mega-rich and famous while working 90 hours a week as an executive, but not Mayer. For example, she's apparently one of Oscar De La Renta's biggest customers, has a personal shopper at Bergdorf Goodman, goes to a high-end salon on Saturday mornings, and Vogue was so taken with her fashion sense and lifestyle that it profiled Mayer in 2009. While she primarily lives in the penthouse of San Francisco's Four Seasons, Mayer also has a house in Palo Alto where she throws elaborate parties for the tech elite, including an annual winter holiday party where she builds an ice-skating rink in her backyard. Granted, there are plenty of wealthy executives that live lavish lifestyles. Larry Ellison comes to mind. But when you put it in context with everything else, it could reflect a level of grandiosity that's inconsistent with the harsh realities of a company in survival mode. Yahoo has had a long, rough ride over the past five years: five CEOs, a botched merger with Microsoft, a public proxy battle, and an impressive drain of executive talent are just a few of the lowlights. The Internet giant is not just in need of a turnaround. It's been pushed and pulled in every which way and dragged through the mud for far too long. The company is in dire need of strong leadership and direction and another false start could be its last. Why didn't Mayer go further at Google? Yes, she was a vice president, but Google probably has hundreds of VPs. She was not a member of Google's senior leadership team and, if she really is CEO material, she should have been. Instead, she was passed over for promotion to Senior VP several times. It bears mentioning that one of those who did make the grade is the aforementioned Susan Wojcicki. She's got such a rock star reputation that people seem to forget that Mayer has only been out of school for 13 years and her only experience was more or less a rocket ship to the stars. That means her ability to handle obstacles and adversity and lead a turnaround in a highly competitive market is untested. It also means she may only know one way of managing, the Google way. And that may not transfer to a company like Yahoo. One size does not fit all in the corporate world. Along those lines, Business Insider reported that Mayer intends to hire lots of engineers because Yahoo has far fewer engineers as a percentage of its total headcount than Google or Facebook. Many might see that as an obvious move, but I'm not one of them. I put that in the same category as when her predecessor, Scott Thompson, laid off 2,000 employees and announced a restructuring without first consulting much of his senior management team or devising a credible strategy for the company. Kara Swisher of All Things D called Thompson's strange turnaround strategy: Aim. Fire. Ready. I couldn't agree more. Swisher also recently reported on Mayer's Googification of Yahoo, calling the company under Mayer, Yahoogle! Mayer has apparently instituted a weekly Friday afternoon all-hands meeting, free food at Yahoo's URLs Cafe, and workspace layout changes to make them "more collaborative and cool," all just like at Google. The one question a lot of folks seem to be asking that I don't see as a big question mark is "Why did she take the Yahoo job?" Yes, of course there's that huge compensation package that's been widely reported, but I think her motivation goes way beyond that. In fact, the answer to that question may very well be the key to understanding Marissa Mayer. Here's what I think we're seeing here. I think we're seeing a brilliant, talented, ridiculously driven and hard working person whose choices and behavior have been rewarded to an extend that most of us can't imagine. In other words, the universe is saying, "You did great; keep doing what you're doing." And that's probably what she's going to do at Yahoo. Whether some rough edges and a lack of maturity stunted her career at Google or not, there's simply no way someone who loves a challenge and craves achievement like Mayer does could pass up the opportunity to fix Yahoo. Since her talents and motivation are unassailable, that only leaves her limited experience and behavior. And therein lies the rub. In her behavior, I see both good and not-so-good signs. I see fearlessness and strength, but I also see some grandiosity and immaturity. If she can learn to temper the latter, to develop some humility and gain some perspective, I think that would bode well for her and Yahoo's future. One important thing to watch, going forward, is whether Mayer surrounds herself with executives who have complementary talents and experience, strong leaders who will challenge her. Just as importantly, she will need to trust and listen to her lieutenants, not seek to control and micromanage them. That would definitely be a sign of balance and maturity. If she can do all that, Marissa Mayer just might pull this thing off. Only time will tell. Briefed on some aspects of this story, Mayer and Yahoo declined to comment.